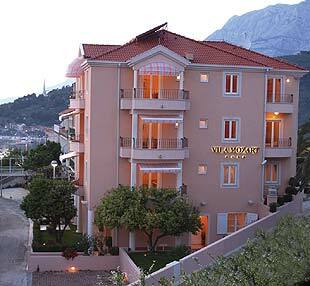 Welcome to the web pages of "Villa Mozart". This web page is also one of the way we want to express you hospitality and refer you to the beauty of the landscapes, pleasant climate, clean and preserved nature and history as well as the present of Podgora. Naturally, we are going to inform you about accommodation that we are offering and other contents of our villa and Podgora alone. You will also find all information that you should know before coming to Croatia. All your eventual questions and doubts we can solve quickly by e-mail. Our goal is to describe harmony between nature and hospitality which are beside the location of the villa and beautiful view, sort of our trade mark. We are hoping that you are going to choose us to be your host in this small authentic Mediterranean paradise with long tradition in tourism.